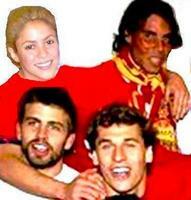 Shakira has wide arms for all athletes!. . Images in the Rafael Nadal club tagged: rafael nadal roma open 2009.